I have a confession to make. I love chocolate! I could eat it all of the time and never grow tired of it. While I usually stick to the classics, however, there are times when I’d like to try something a little bit different. This homemade brownies recipe fits the bill perfectly! With flour, sugar, cocoa powder, chocolate chips and eggs, the base of this homemade brownie recipe is pretty standard. The chunky monkey topping that goes on top, however–that’s where things get interesting! 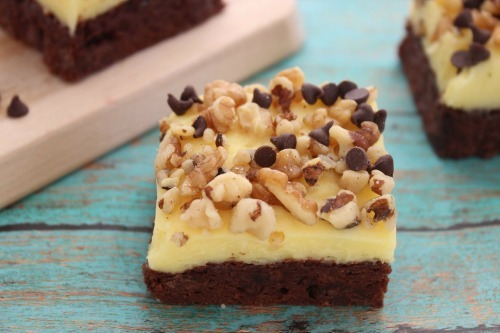 It definitely takes the already delicious brownie to a whole new level. 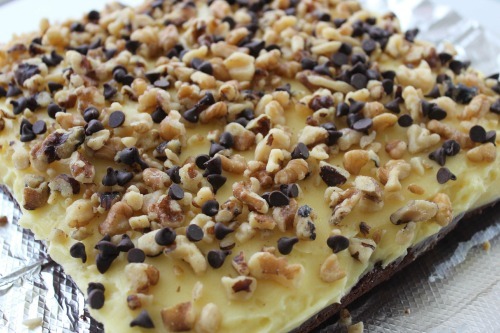 For the chunky monkey topping, you’ll need banana creme pudding mix, heavy cream, powdered sugar, walnuts and chocolate chips. 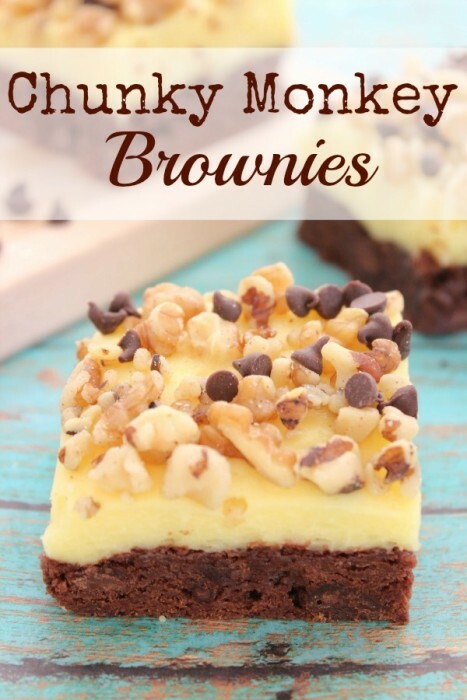 Simply whip the heavy cream, add the powdered sugar and pudding mix, spread over the brownies, and top with walnuts and chocolate chips for homemade chunky monkey brownies that look as great as they taste. Whether you are making this recipe to enjoy by yourself at home or you need a good homemade brownies recipe to take to a fun get-together, these chunky monkey brownies are sure to hit the spot. Just don’t be surprised when everyone starts asking you for the recipe so they can make their own brownies at home as well! Grease an 8x8" pan and dust with flour. Whisk together cocoa, flour, salt and baking powder. 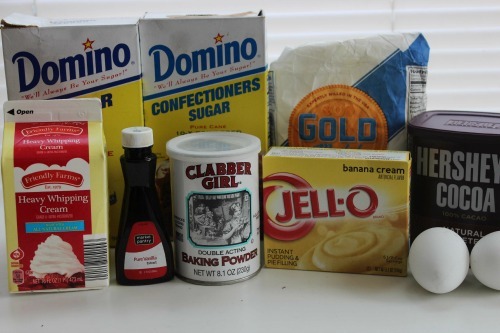 In a sepaarate bow, combine melted butter, sugar, eggs, and vanilla. Mix to combine.